Want to know how your WordPress forms are converting? 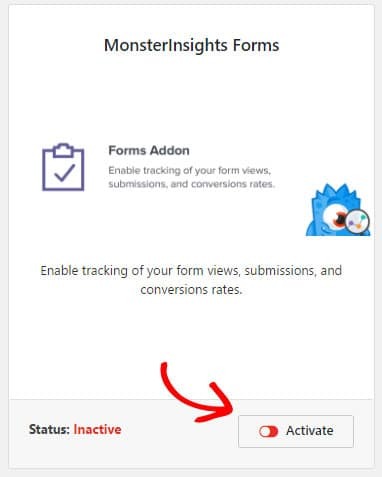 The MonsterInsights Forms addon allows you to track the number of views and conversions for your WordPress forms. It works seamlessly with any WordPress forms plugins like WPForms, Gravity Forms, and more. 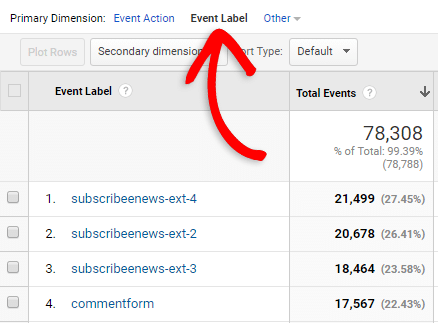 You can enable event tracking in Google Analytics for form submissions. You don’t have to create a thank you page just for tracking form submission goals. You can identify which forms trigger more submissions. 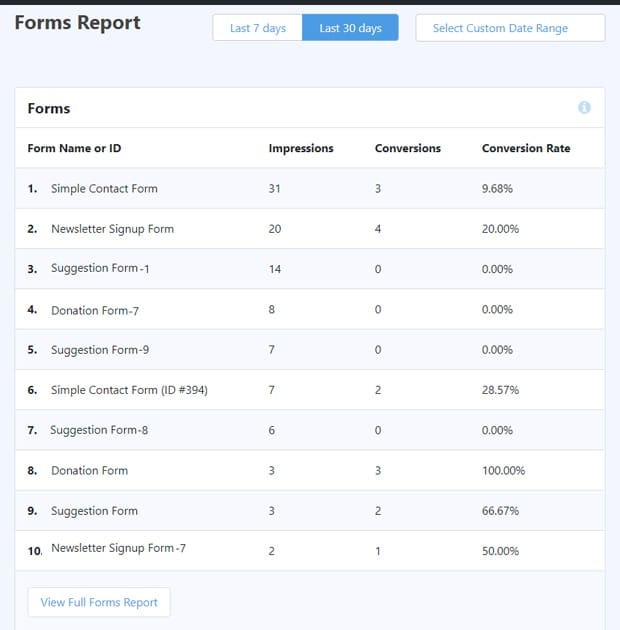 You can begin optimizing your forms to get more conversions. To access the addon, you must have the Pro license plan or higher. 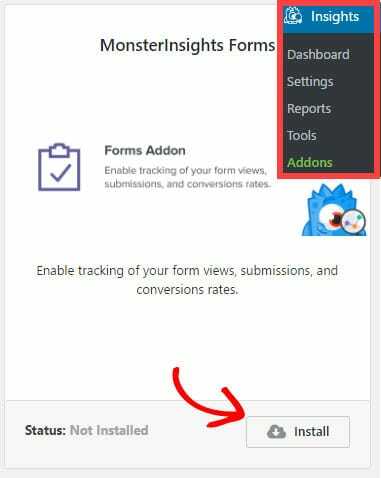 First, go to Insights » Addons and click Install under the MonsterInsights Forms addon. 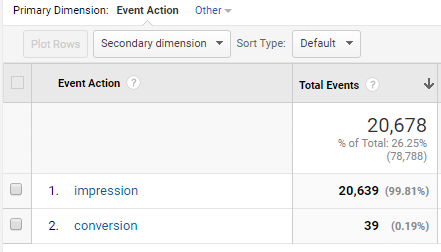 It may take a day or two for Google Analytics to start gathering data on your form views and conversions. 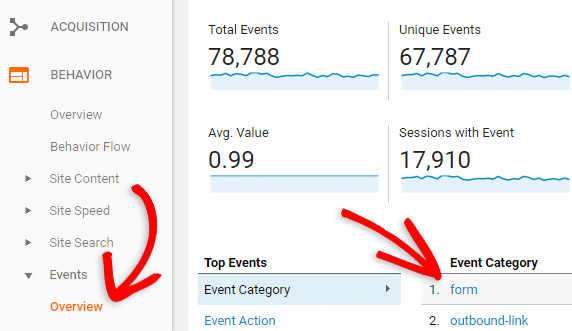 Behavior » Events » Overview and then clicking on form under Event Category. Then you click on Event Label to see separate stats for each form on your site. Last but not least, don’t forget about the optional Secondary Dimension. If you have a form on your blog sidebar so it’s showing on many pages on your site, you can see which pages are getting the most conversions. Set the secondary dimension to Title or Page. There are also quite a few other Secondary Dimensions to explore. If you’re monetizing your website with ads, you might also want to check out how to enable ads tracking.